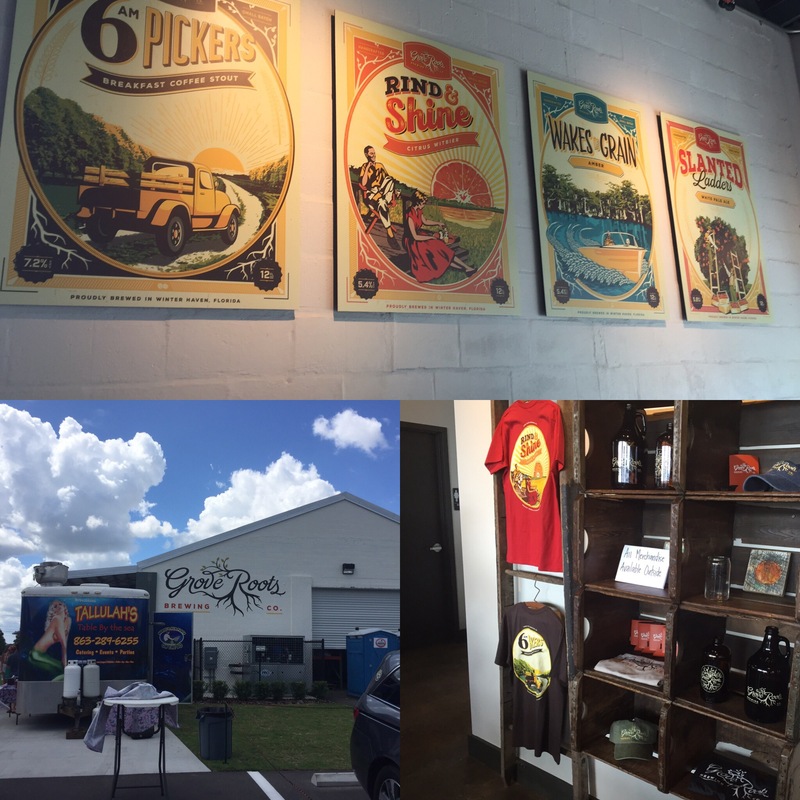 We headed out to RJ’s old stomping grounds of Winter Haven, FL to sample the new brews made by Polk County’s newest brewers, Grove Roots Brewing Co. 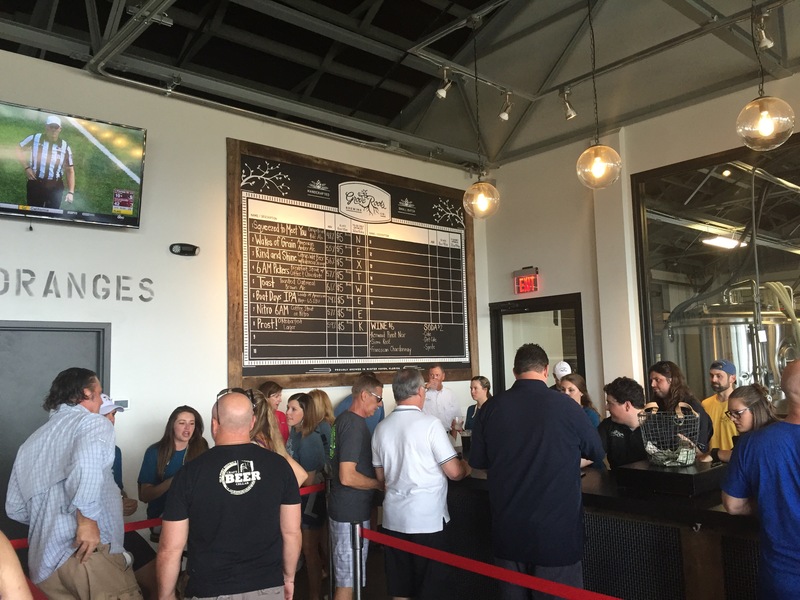 This weekend the brewery had their Grand Opening showcasing their beers and getting people accustomed to their location. The feel of the location has an industrial-chic with the location being taken from an old auto detailing business from back in the day. Simple colors and wood framing really gave this place a casual but high-end feel. This was Gabi’s favorite beer off their tap. Rind & Shine is their Citrus Witbier that is great for a day of drinking. If we had to compare it to a beer people would know, we would say it is a better version of Hoegarden. Booming with citrus flavor, this beer has a great flavor and you can really taste the grapefruit and tangerine. For all those lighter beer drinkers, this is the one for you. This beer really makes RJ think of the days when you would go out on the lake and watch the ladies ski at Cypress Gardens. Wakes of Grain is a solid amber ale with lots of caramel malt and just a bit of hops to make a smooth flavor. This is definitely a “boating beer” if there ever was one. This one through us off a bit as it is a pale ale but has grapefruit bitterness on top of it. When we ordered this beer we imagined a much more lighter beer but we were pleasantly pleased with the combination. The more sips we took, the more we liked it. Some beers are an acquired taste and we recommend you acquire this beer for yourself soon. All in all, Grove Roots has a great location in downtown Winter Haven which is definitely on its way to being revitalized. 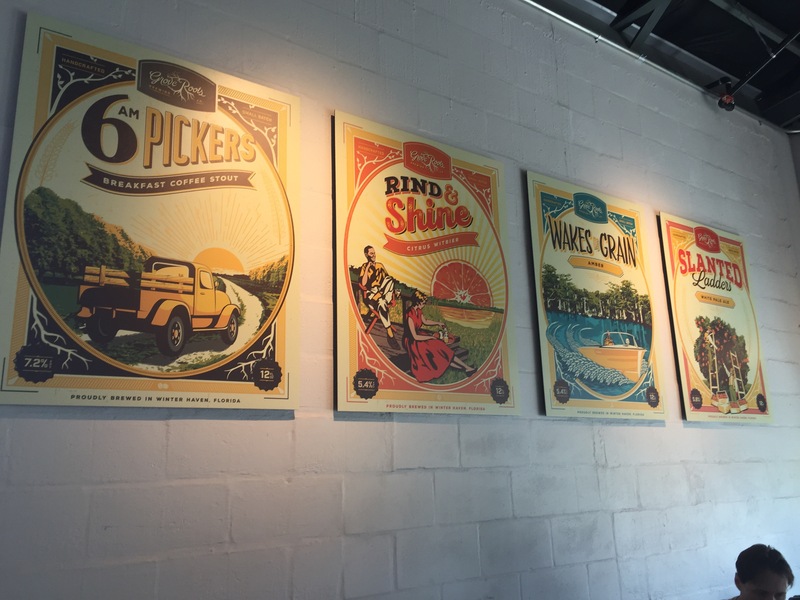 We look forward to visiting this place again in the future and maybe a little chat with the brewer to talk about their vision and drinking…always drinking.